The Eel River Recovery Project Wilderness Committee has a strong commitment to improving recreational access to Wilderness and other scenic public wildlands. We believe that, if we get people out hiking or boating that they will connect more with the Eel River watershed and help protect and restore it. At the core, we also believe that people need to be connected to the wild to be happy and that they will find inspiration if they immerse themselves in it. To some degree, the Eel River watershed is very under-utilized and trail systems are lacking or in neglect. While 394 miles of the Eel River is designated Wild and Scenic River, there are few boat launching facilities to allow access. We want to work in partnership with all agencies, Tribes, counties, municipalities and other non-profit groups to improve the recreational infrastructure in the Eel River watershed. This will help connect communities to the river, improve community health and quality of life, and help stimulate eco-tourism to diversify the region’s economy. Since 2013, ERRP has been closely coordinated with the BLM Arcata Office, which is focused mostly on restoration and recreation. BLM lands within the Eel River watershed include Wilderness Areas, but also smaller tracts that are important for maintaining biodiversity and clean water supply. After helping clean up trespass marijuana grows in the Red Mountain Wilderness, we are now working with BLM on improving access. We are also excited about the prospect trail creation in the Cahto Peak Wilderness, although planning may take several years. Check out Wild and Scenic Celebration Report. We are not yet fully engaged with the Mendocino National Forest (MNF) with regard to recreation, but our members see great opportunity in helping revitalize trails and help improve access to the Yolla Bolla and Snow Mountain Wilderness Areas. Their holdings also overlap with the southern end of the Bigfoot Trail (see https://bfta.bigfoottrail.org/). We want to bring volunteer energy to restore existing trails on MNF within the Middle Fork Eel River as a priority. Field trips and hikes into the wild Middle Fork and its tributary the Black Butte will be happening this summer. We also want to work with MNF, PG&E, the Potter Valley Tribe and the Mendocino Land Trust on a trail and Upper Eel Salmon Park between the Potter Valley Project dams. This concept includes a trail on the south bank of the Eel River that would replace a hard to maintain MNF road that is redundant with the county maintained road on the north side. The park would also include salmon habitat improvement. We have won a Cereus grant to promote this concept, including field trips in spring and summer 2019. ERRP has networked with Six Rivers National Forest recreation staff and also with the Mad River Ranger District to discuss potential trail construction and maintenance of trails in the Lassics Wilderness and the North Fork Wilderness. 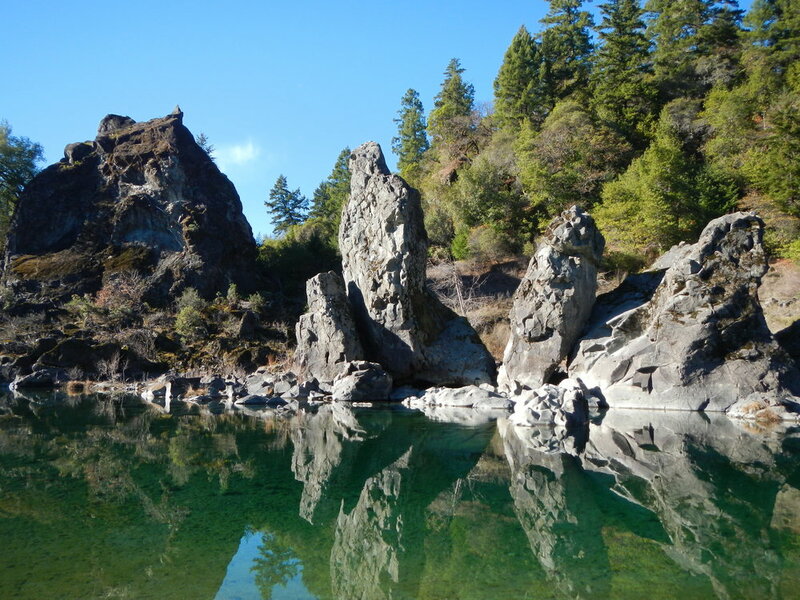 ERRP has strong interest in seeing forest health implemented in the North Fork Eel River watershed and trails would need interpretive signs and kiosks to educate people of the change over time and the need for restoration. Part of the Bigfoot Trail also runs through SRNF. In the long term, however, SRNF needs more budget to perform its mission in the realm of recreation. We encourage Congressman Jared Huffman to be a champion for the USFS and BLM and to seek increased resources for our valued agency partners. ERRP has been concerned about lower Eel River salmon habitat, as pools have filled in since 2012 and salmon passage is perilous due to long shallow riffles. Also, homeless people camp near salmon pools adjacent to the North Coast Railroad Authority (NCRA) right of way, and there was much evidence of poaching salmon stuck in nearby pools. In response to these problems, ERRP is promoting the idea of a Lower Eel River Salmon Parkway that would include an expansion of the River Walk Trail and salmon holding pool habitat restoration (see proposal). 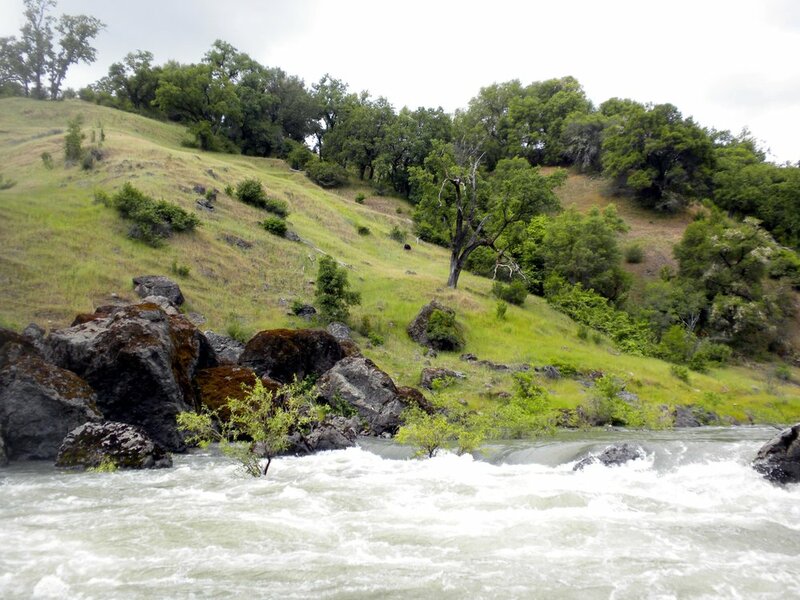 The City of Fortuna is an active partner in this concept and they have applied for a River Parkway grant from the California Natural Resources Agency (see slide show). This route is part of the route for Senator McGuire’s ambitious Great Redwood Trail and the NCRA has recently been re-purposed to help plan trails. The Eel River has 394 miles of Wild and Scenic River designated (see map - basin_relief_map.jpg) with much of it meeting the criteria for Wild – no roads paralleling the river. This makes for solitude while floating the river, but there are few places that you can launch or take out a raft or a kayak. For example, there are no places for a rafting party to take out between Dos Rios and Dyerville, a distance of more than 70 river miles. Anyone or other group that has interest in this issue should contact us so that we can fully understand the needs of the boating community (call 707 223-7200).